The All Progressives Congress members in the House of Representatives and their counterparts in the Peoples Democratic Party on Wednesday traded words over the decision of President Muhammadu Buhari to withhold assent to the Electoral Act (Amendment) Bill. While the APC Caucus of the House of Representatives emerged from a closed-door meeting on Wednesday to back Buhari's decision with a vow to ensure that the National Assembly's planned move to override the President's veto failed, their PDP counterparts said the President's action was against the interest of the country and they would challenge it. Leader of the caucus and Majority Leader of the House, Mr Femi Gbajabiamila, who addressed journalists in company with other members, argued that the National Assembly could not override Buhari's veto, especially as the President also pointed out clerical errors in the bill. Asked about the agenda of the meeting, Gbajabiamila said, “It was a one or two-point agenda. What is in the front and centre right now is the electoral amendment law, which the President has not signed and there are calls for us to veto same. But let me say very quickly: perhaps, a lot of people don't understand the import and the implication of signing an imperfect document. The lawmaker further argued that even though the President cited the reason for vetoing the bill, the constitution does not compel him to explain his decision. “Mr President has done well. If you study the constitution very well and if you look at Section 57, it does not oblige him to give any reason for veto. All he has to do is return it and say, 'I am withholding my assent.' He doesn't have to give you any reason. But every time he has done that, he has brought forward cogent and verifiable reasons why he is not signing it. Gbajabiamila recalled that the APC lawmakers had while debating the bill, warned against making electronic accreditation of voters in an election compulsory as the bill intended. He said, “It forecloses manual registration. When you do that; we were all witnesses to what happened in the last election; even the sitting president could not be accredited. So, what Mr President has done is to protect everybody in Nigeria. Gbajabiamila also cited the Economic Community of West African States protocol “that everybody has been talking” about as worthy of consideration. Responding to a question on the fact that lawmakers in the Peoples Democratic Party were insisting on overriding the President's veto, Gbajabiamila challenged them to gather the required two-thirds majority to hatch the plot. “Lawmaking is not about insisting; law-making is about numbers. If they are able to muster two-thirds and they want to push it through, there is nothing we can do. But as a party, we are not going to be part. As I said earlier, you cannot override an imperfect document. It makes no sense. It is garbage in, garbage out,” he said. Gbajabiamila further argued that it was wrong to describe the declination of assent to the bill as a failure on the part of the legislature. He blamed the Department of Legal Services of the National Assembly for the errors in the document. The lawmaker said, “I totally do not (take it as a failure) and I will tell you why. Go to the most advanced democracies, they have a legal department. That legal department is staffed with the best of the best – from Havard, Princeton and the rest of them – and about a hundred people are sitting in the department. It is not the lawmakers that do the final draft, it is the legal department. 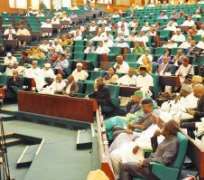 Responding on Wednesday, the PDP Caucus in the House described the position taken by the APC caucus as inconsequential. Ogor also told our correspondent that the PDP caucus had yet to meet on the matter and a meeting had not been scheduled as of Wednesday afternoon.